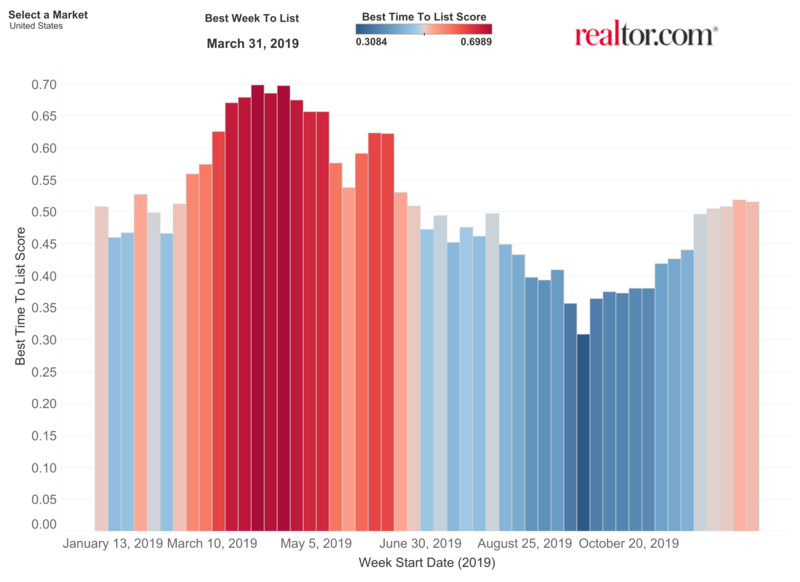 Based on several factors—including trends in median listing prices, property views on realtor.com, home price drops, median days on market and the number of listings on the market in the last three years—realtor.com determined that the best time to sell, on average, is the first week of April. Why? Competition is still low, but buyers are out in droves, snapping up homes and driving up home values. 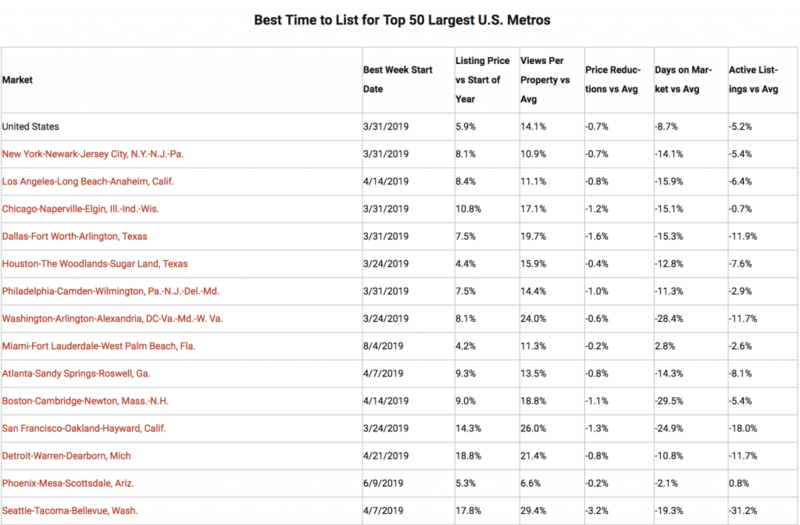 "June is often considered the peak of home-buying season, but our analysis found the first week of April is best for sellers looking to maximize list price, and also reduce the risk of price cuts and competition from other sellers," says Danielle Hale, chief economist for realtor.com. 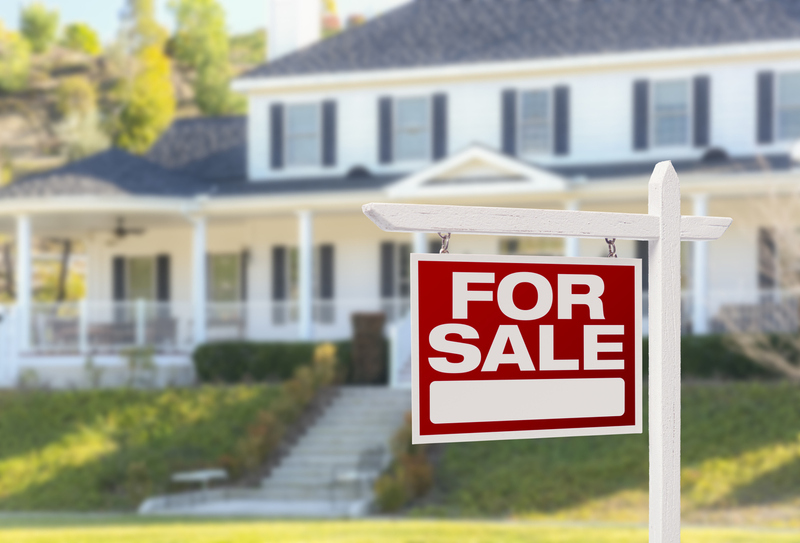 "Given the time it takes from listing to close, putting a home on the market in early April positions sellers to attract buyers seeking to close and move before the beginning of school year." Properties listed this week see about 14 percent more views on average, and compared to last year's weekly average, there's also 5 percent less competition and so homes sell 9 percent (or 6 days) faster, on average. Declining mortgage interest rates may also play a role in April's healthy buyer demand. Compared to the near 5 percent rates of Nov. 2018, rates today are much lower, trending below 4.5 percent. Sale values may also increase this week. 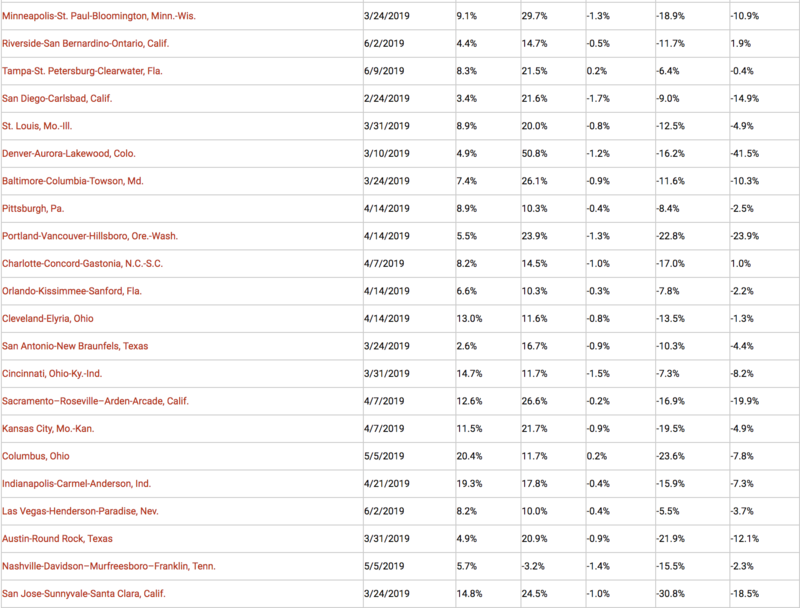 Homes listed between March 31 and April 6 are typically priced 6 percent higher than at the beginning of the year, states the report. While June brings even higher list prices, the chance for a reduction also increases toward the end of summer as buyers retreat. Sellers, list your home in April, enjoy a quick market time and save those pennies for a rainy day! For more information and to read the entire report, visit www.realtor.com.